Singer-songwriter Hera Hjartardóttir holding a songwriting workshop for Music students at UC. A broad range of courses offer opportunities to engage with music technologies, notated composition, songwriting, recording techniques, computer music, and collaborative projects. Entry into first-year composition and songwriting courses are based on submission of a small portfolio of works. Applications should be made to Te Kura Puoro | School of Music by 31 January 2020. See the Bachelor of Music for more information. Majoring in New Music will give you significant hands-on experience writing music for instruments, voice, creating music with computers, and working with performers and improvisers. 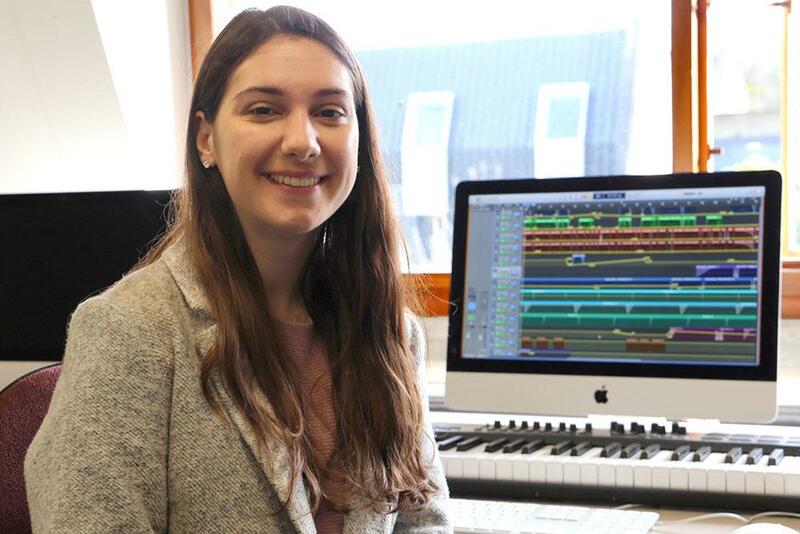 Careers could include sound design, film composition, songwriting, and recording. You will also be well placed to move into training as a school music teacher or other educator, working with younger musicians who are developing their own music. Find out more about what you can do with a degree in Music. See the School's website for up-to-date location details.